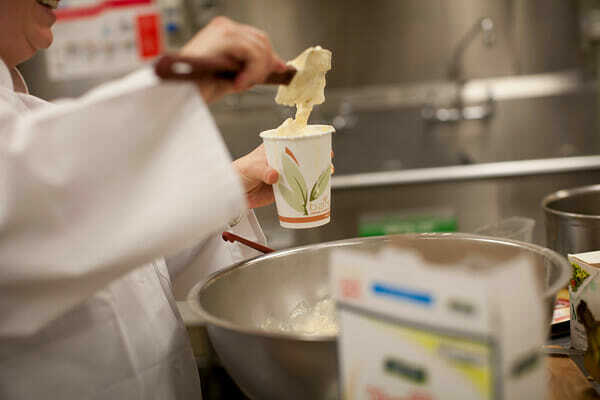 State of Great Taste: Ice Cream Contest! 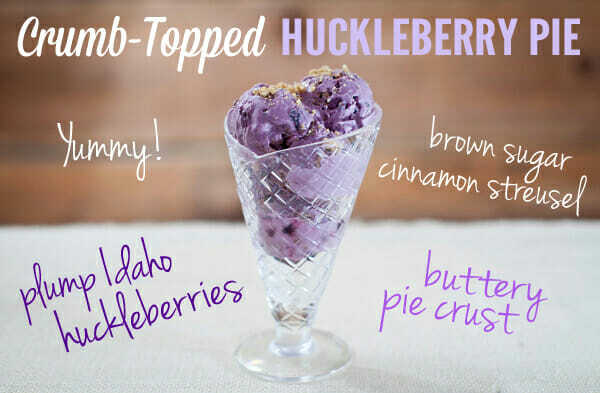 Update: We are so happy to announce that Sara’s Ice cream, featuring Idaho’s Huckleberries, was selected as the winner of this contest and will be produced by Private Selection and sold in stores across the country in June 2014! Over the weekend we told you about a fun trip we took to Traverse City, Michigan to tour beautiful cherry country! Our hosts, Private Selection, have an awesome product concept, and that is to source their ingredients from places that specialize in those particular ingredients. That’s why they went to Michigan, known for their famous cherries, to get the cherries for their Michigan Cherry Cobbler Ice Cream. 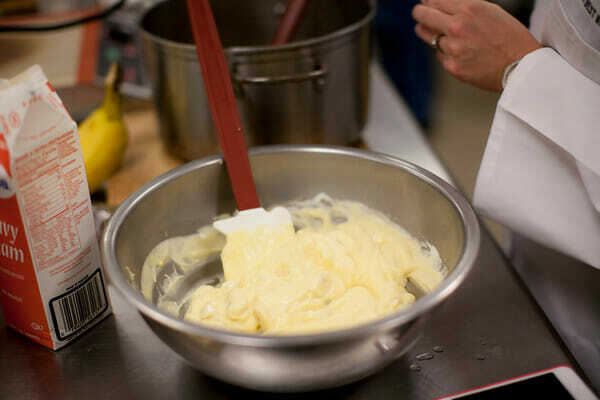 And now that they’re ready for a new ice cream flavor to hit shelves, they invited food writers from different regions of the country to come up with an ice cream recipe that represents the flavors of their state. Kate and I were so honored to represent our home states of Louisiana and Idaho, respectively. 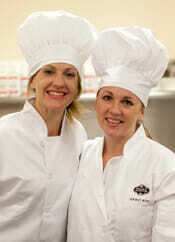 We were among a talented group of ladies, all of whom came up with incredible flavors! The absolute coolest part about this fun promotion, is thatYOU get to now vote on which flavor sounds the most amazing and the winning flavor will actually go through product development with Kroger and be released in stores as a limited edition! I’m going to tell you all about our flavors and then you can head over to the Private Selection Facebook page and vote for whatever flavor you see there that looks the yummiest. I will be so happy to see any of these bloggers get to have their flavor show up in stores! You can vote once a day for your favorite flavor for then next 8 weeks. Yes, 8! 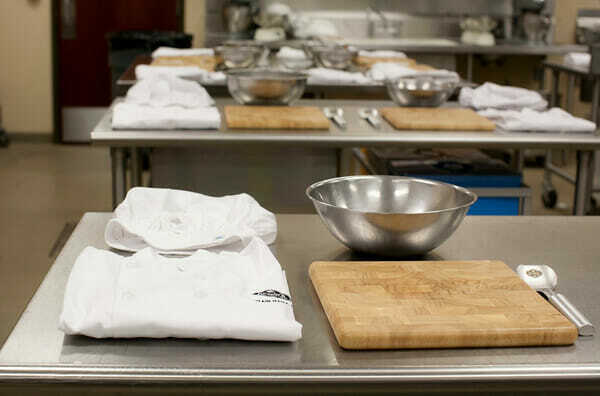 We started our day in a beautiful professional kitchen at The Great Lakes Culinary Institute where we each got fancy hats and jackets. All of the ingredients for our flavor exploration were waiting for us and boy was there an interesting mix. Everything from hot chili peppers, to bacon, to rosewater, to watermelon! Kate and I definitely played it a little more traditional. And then we got to work. I shared a table with 3 other bloggers and it was so fun seeing what everyone else was up to; there are some very unique flavor combos! Lots of laughs and lots of fun. Kate got inspiration from one of her favorite southern comfort foods, Banana Pudding. Yummy whole milk and cream, fresh bananas and sweetened condensed milk all went in to make a creamy pudding. buttery crunchy Nilla Wafers, and smooth buttermilk caramel. 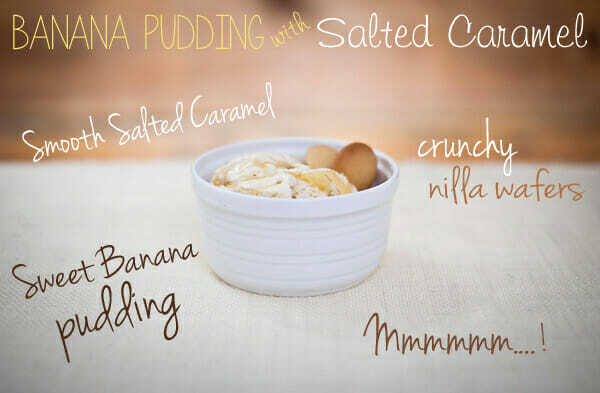 If you love our Banana Cream Pie, you’ll love this ice cream! Most people know Idaho for the potatoes, but the truth is, I live in huckleberry country! Private selection had some frozen fresh huckleberries over-nighted to Michigan just for this ice cream. 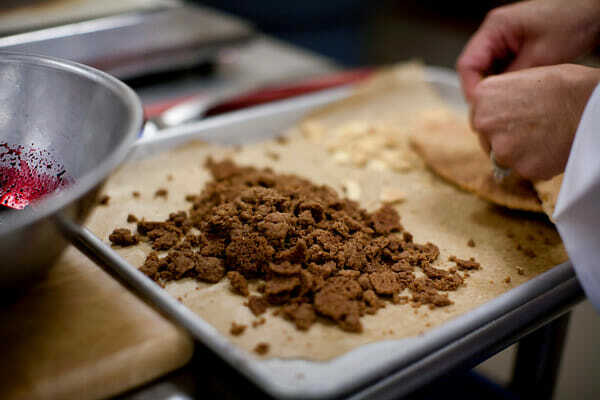 and chunks of buttery, flakey pie crust. The fresh, plump huckleberries are the stars of the show and not only burst with sweet flavor, but they create this amazing violet color as well! It’s like a spoonful of summer, and it perfectly represents my great state! Or click here to go directly to the voting page. You can vote once a day for several weeks, and each time you do, you’ll get an ice cream coupon for yourself. If you want to see any of the flavors on that page in stores, this is your chance! Support a blogger or a flavor you love, and thank you! Note: Apple iOS App Users, Click Here to read this Post. I love traverse city- and private selection ice cream! and I think that huckleberry flavor looks like it’s to DIE for 🙂 looks like your trip was fabulous!! I’ve gotta admit, Kate’s sounds incredible! And after taking a look at all the competetion (including the bacon and chocolate. I know it’s amazing, but seriously, bacon needs to take a break.) I’ve never been a huge fan of bananas, but my hubby has been making banana smoothie/shakes that are so good! So Kate’s combo of banana, Nilla wafers and salted caramel sounds so, so good. Am I the first to comment? Both flavors look yummy! So glad you two are getting the national recognition you deserve. I’ve been a fan of “Our Best Bites” for over four years now and have many of your recipes that I make on a regular basis! What a fun contest! We love to come up with different ice cream flavors each summer. 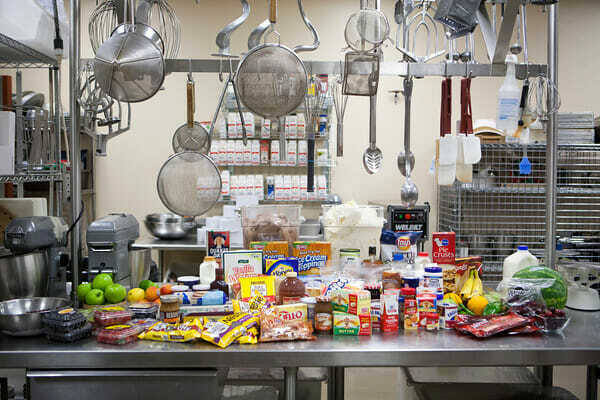 But to do it in a real kitchen with real chefs and great ingredients–how fun! Oh my gosh!!!! Totally huckleberry!! That looks so delish! they both look incredibly delicious but I hail from huckleberry country and husband just might die and go to heaven if he got to eat huckleberry ice cream like that. WOW, you both did awesome with your flavors!! GEESH, what do I do… I’m a Michigan girl at heart, but I LOOOVE banana pudding, and that huckleberry pie looks amazing. Wonderful job ladies! How fun! Those flavors both sound excellent. 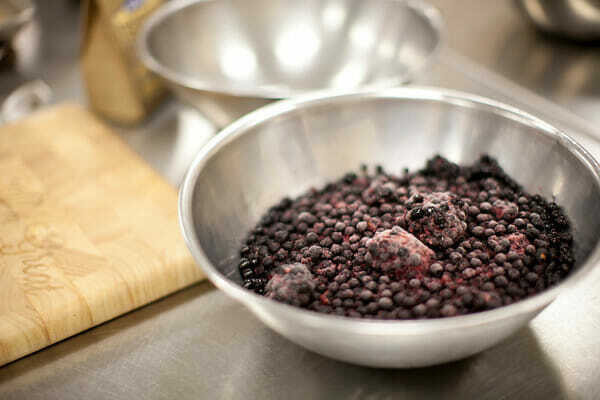 I love Huckleberries, I grew up in Idaho. I now live in Texas and banana pudding is one of my favorite things about the south. What a fun thing to be able to do. Oh how fun is that! Both flavors sound absolutely delicious (and are making me crave a great big bowl of ice cream)! I vote for huckleberry! Its been years since I’ve had some but I remember it was fantastic! Being a girl from Idaho Huckleberry country I just have to vote for Sara’s because I love huckleberries! Will we ever get to see these recipes? I love banana ice cream! You both look so cute in your pictures on the Facebook page. Way to go! I live in northern utah and we go huckleberry picking every year! In fact we are headed to do so next weekend. Love me some huckleberries! 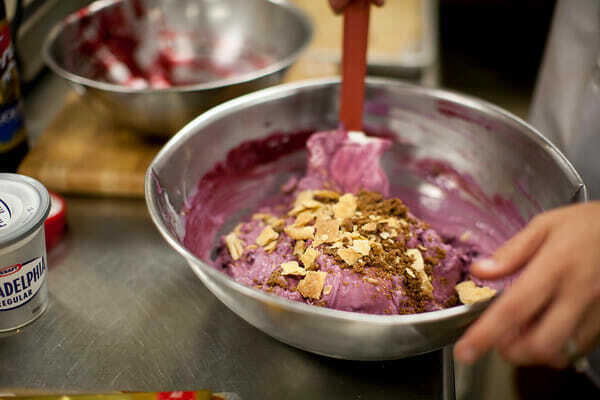 Sorry Kate but as a fellow Idaho girl I love me some huckleberries and that Ice Cream looks amazing! Thanks Sarah. I hope you win it so I can try it!!! Is there any way those of us not on Facebook can vote? I doubt I’m the only one, but maybe I am. I think I have to go for the huckleberry – sounds yummy! No, I’m sorry but the whole app is run through Facebook! Both these flavors look equally delicious! From all the other flavors I saw these were by far the most appealing to me! I’m from Idaho too, so we used to go huckleberry picking and my mom would make raspberry/huckleberry jam. So delicious! Tillamook has a huckleberry ice cream that is decent, but I wanted more huckleberry flavor and actual berries. I hope one of you 2 win! I’d love to try either flavor! I’d have to say the Huckleberry! I am from Idaho and in our family its a tradition to pick these scrumptious berries every summer! Hey! Cool that you were in Michigan! I follow your blog and am a Michigander! 🙂 Hope you had a good time here and your ice cream flavors look amazing! Haven’t been on the OBB blog in a long time…happen to stop in today and discover you were in my neighborhood over the summer. 🙂 Thats awesome! Hope you had some time to enjoy the area. Did they announce the winner yet? Did either of you win? I hope so!!! Your entries looked wonderful. So, I have loved the new Huckleberry flavor in stores, and then about two months ago I haven’t seen it. Will they ever bring it back? It was my favorite flavor and so sad to see it no longer on the frozen shelves. How can we petition to get this back in stores?!? I miss it so much!